TouchPoint is highly customizable, mobile ready and great for screencasting, screen recording, user testing and presentations. 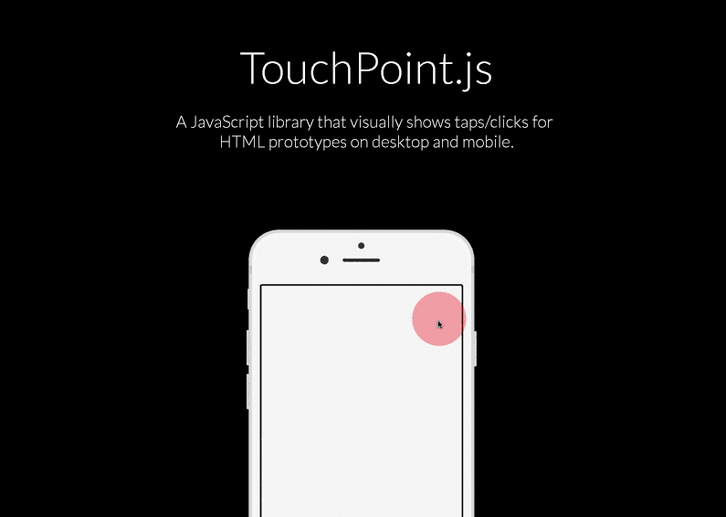 TouchPoint is customizable. There are a number of options that you have access to to customize the look for your needs. Performance should not be an issue because each individual TouchPoint element is dynamically created and then automatically removed from the DOM after being used.